2. Players learn to shoot quickly. 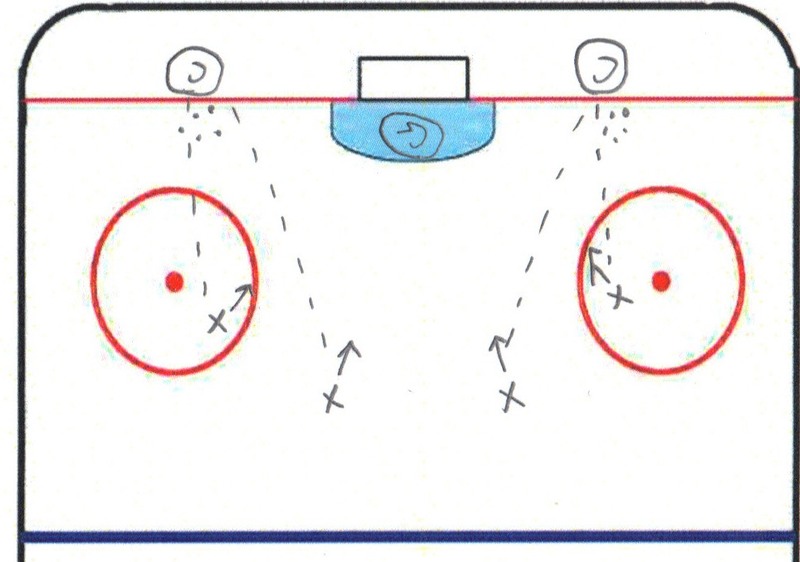 You can also set players up behind the net to make passes. 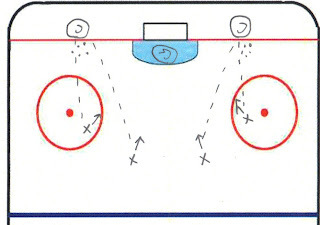 This focuses them on making good passes.